We Handle All Immigration Matters! Did you receive an unfavorable result from immigration court? Don’t let that cause you to lose hope. Often, it is possible to appeal the decision. There are specific deadlines and procedural rules that must be followed for an appeal to be successful, so it is advised that applicants seek legal representation from an experienced attorney. At Maui Immigration Law, LLC, we represent clients grappling with various immigration matters, including those looking to have their application or petition reconsidered by USCIS. Don’t give up until you’ve explored all your options. Call (808) 244-5858 to speak with our immigration appeals advocate today. There are several reasons to hire an immigration appeals law attorney to help with your appeal. The first thing your attorney will do is ensure that all deadlines and rules are followed to give you the best chance at a successful appeal. Cases may be denied for a variety of reasons and the reason provided is important to build a solid case for appeal. Understanding the specific reasons for the immigration officer’s concern is essential for a successful appeal. You will need to know the rules that should have been followed and provide a valid legal argument to show that existing law applies to your case. 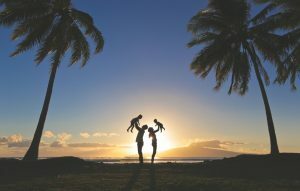 In some cases, the real issue is not apparent, but your Maui immigration appeals lawyer can help you present the most effective arguments for your specific case. Immigration law is complex, so trying to appeal a case without legal representation can be risky. Kevin J. Block is an experienced Maui immigration appeals attorney helping clients appeal unfavorable decisions. We will listen to your concerns, evaluate your case, explore every possible remedy, and recommend the best approach for your appeal. Attorney Kevin J. Block represents clients in appeals to the Board of Immigration Appeals (BIA) and the 9th Circuit Court of Appeals. With adequate grounds, you have the right to appeal your case and we can assist you with the process. Contact our office today for more information and to schedule a consultation. We’re ready to help you assess your appeal options. Kevin is an amazing professional, he has helped me achieve one of the biggest goals in my career as an athlete.